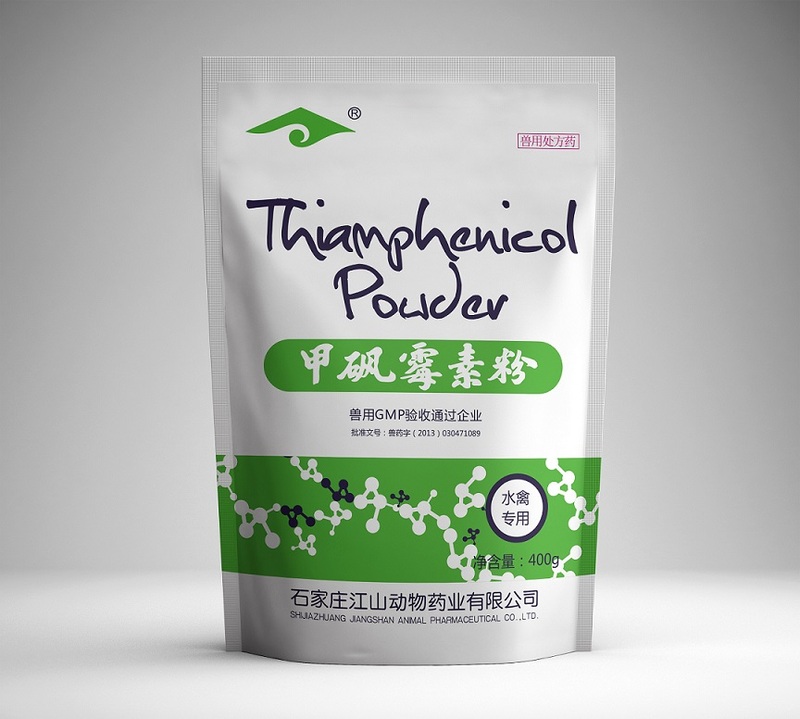 Character:Thiamphenicol Veterinary Soluble Powder is white powder. Thiamphenicol belong to phenicols broad-spectrum antibacterial antibiotics,but against gram negative bacteria than gram positive bacteria,most of Enterobacteriaceae,including typhoid,paratyphoid bacillus,Escherichia coli,Salmonella,highly sensitive,sensitive to Gram-negative bacteria and Pasteurella Brucella,etc..Gram positive bacteria are sensitive to anthrax bacillus,Streptococcus,Corynebacterium,pneumococcus,Staphylococcus aureus.Leptospira,chlamydia,Rickettsia also sensitive to the chemical.The anaerobic bacteria such as Clostridium tetani,actinomycetes have considerable effect.But the tubercle bacillus,Pseudomonas aeruginosa,fungi is not sensitive to the weaker.This product for some bacteria with chloramphenicol.Pharmacokinetic study Veterinary Medicine For Duck and Goose is taken orally absorbed rapidly and completely absorbed in the body.Widely distributed in various tissues.Mainly from the original urine excretion.In cattle,sheep with short half-life of chloramphenicol,The pig has a half-life of 4.2 hours. Drug interactions:The macrolide and lincosamide with the same target of this product,are combined with the 50s subunit of the bacterial ribosome,the combination can produce antagonism.With the beta lactam combination,due to the rapid inhibitory effects of this product,can produce antagonism.Has inhibitory effect on hepatic microsomal drug metabolizing enzymes,can affect the metabolism of other drugs,improve blood concentration,enhance the efficacy or toxicity,such as duration of anesthesia can significantly extend pentobarbital sodium. Indications:Thiamphenicol Veterinary Soluble Powder is mainly used for animals paratyphoid,dysentery,pneumonia and animal intestinal infection,avian colibacillosis,salmonellosis,respiratory tract bacterial infections.Also for sepsis,prevention and treatment of fish caused by Aeromonas hydrophila and bacterial enteritis,red skin disease and other bacterial diseases. Adverse reaction:Thiamphenicol Veterinary Soluble Powder has the blood system toxicity,although not cause irreversible aplastic anemia bone marrow,but reversible erythropoiesis caused inhibition was more common than chloramphenicol.Thiamphenicol Veterinary Soluble Powder has a strong inhibition of immune,about 6 times stronger.Chloramphenicol Long term oral administration can cause digestive function disorder,vitamin deficiency or double infection symptom.Embryonictoxicity,pregnancy and lactation animals use caution. (2)The vaccination period of animal immune function in severe defect of the disabled. It is Poultry Disease Medicine, Veterinary Prevention Medicine. Withdrawal period:Livestock poultry 28 days (tentative);discard time 7 days;the fish for 500 days. Storage:Shading,sealed in a dry place. Looking for ideal Thiamphenicol Veterinary Soluble Powder Manufacturer & supplier ? We have a wide selection at great prices to help you get creative. All the Veterinary Medicine For Duck and Goose are quality guaranteed. 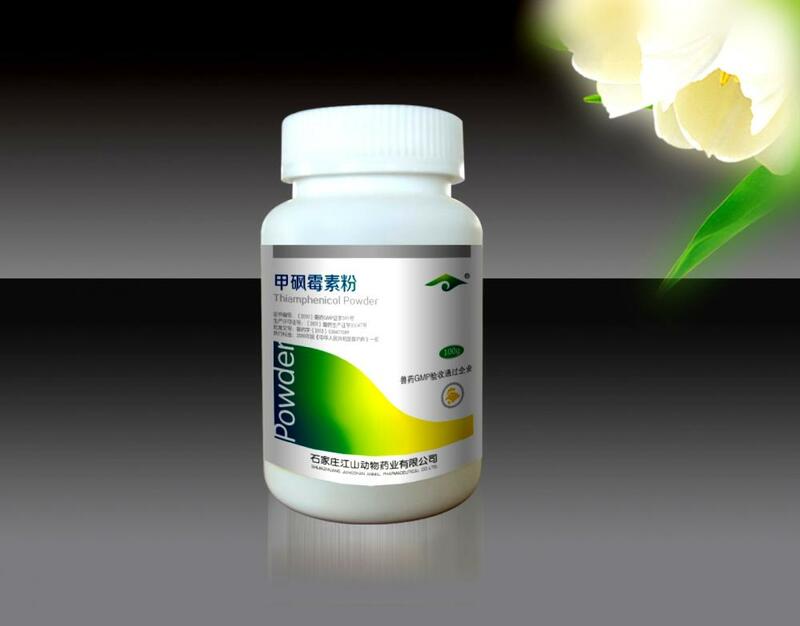 We are China Origin Factory of Prevention Veterinary Disease. If you have any question, please feel free to contact us.